Post 9800 dedicated to Ami and the Idoling!!! fans in the above clip- the fans picked her up and gave her a boost with their cheers, and besides, any time an Idol covers a Mikitty song, a trainee angel in heaven gets a set of wings! Kikuchi joined Idoling!!! in April of 2008. She had a low profile for a while until she finally got her break since guesting on variety shows last year. Kikuchi's group, like AKB48, does not allow their members to be involved in romantic relationships, however, "There are rumors going around the industry that she's already had a relationship with over half of the members of a certain Johnny's group. She was also the one who approached them, so if this is true, then she must really be what you call a carnivorous talent". Amimi got pranked on this show. On a show with former MM member Yasuda Kei. Amimi was in Sweden and met some gorgeous guys and - most of all - participated in a fire show!!! So cool!!!! It's been reported that Idoling!!! 's Kikuchi Ami will graduate from the group after their live concert 'Idoling!!! 14th Live' on November 24 at NHK Hall. This was announced by Kikuchi herself on August 3 during their stage at 'Tokyo Idol Festival 2014'. She decided to part ways with the group in order to aim for her dream of becoming a "talento who can be successful in variety tv shows". In tears, she said, "I am going to put an end to my 6 years in Idoling!! !, and advance onto a new stage. I apologize for the sudden announcement, but it would make me happy if you would give me a warm and supportive push forward." Does anyone heard about it in TIF 2014?? Maybe this is the best way for her. Beside her age, her activities outside group definitely high, so better for her to focus on variety shows. Good Luck Amimi!!! Yes, we were there at the announcement at TIF. Morimoto came on stage to reveal the 14th live, and then Kikuchi's graduation on the same day. Who's gonna step as the annoying loud-mouthed character of the group, now? FuruMayu have potential as an advance talker.. I'll be honest, with all the attention on Sayu's graduation, I totally forgot that Ami was also graduating from Idoling!!!. 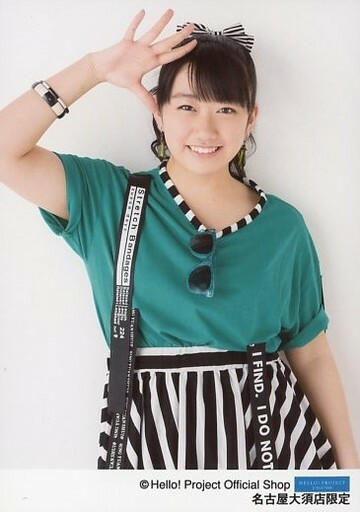 On December 2, Kikuchi Ami (24), who recently graduated from idol group Idoling!! !, updated her official blog revealing that she has lost 7.5 kg (16.5 lbs) through dieting. She also shared a picture of herself when she was at her heaviest weight. Kikuchi revealed, "During summer, when I was at my max weight, I was 57 kg (125.4 lbs)." In order to improve her figure, she says she used various dieting methods such as drinking enzyme diet drinks. "I also exercised! I went to the gym, took half baths, and swam in the pool," she continued. She then happily reported, "I lost about 7.5 kg (16.5 lbs)!" Kikuchi even uploaded a photo of herself in a bikini before her diet saying, "You're probably surprised, and I'm embarrassed, but I'm showing myself as I am." Currently at 49.8 kg (109.56), Kikuchi stated, "My goal is a healthy 47 kg (103.4 lbs), so I will do my best!" Fans encouraged Kikuchi with comments such as, "Please do gravia too! I'm looking forward to it," and "Really impressive." Page created in 0.378 seconds with 14 queries.